From a financial perspective, and in particular in terms of real estate, America is anything but uniform. This is why real estate is such an effective investment vehicle… and why so many financial professionals don’t understand it. 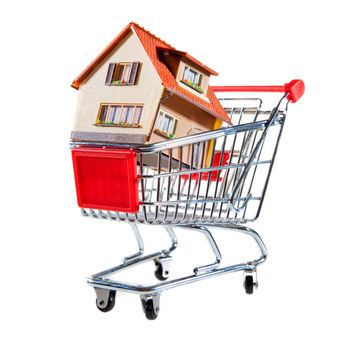 Real estate is NOT an asset class or a market like financial pros are used to. Properties aren’t uniform. They don’t trade in bundles on highly efficient high-speed electronic exchanges. Every property is different. The inefficiencies of real estate ARE the opportunity. News flash… it’s been like that forever. And it’s what geographically diverse investors THRIVE on. With both nominal and real wage growth fairly soft, healthcare costs on the rise, and many workers still burdened with student debt… even with crazy low interest rates, it’s hard to buy the bigger home. So although those are largely economic negatives, the consequences don’t hit housing equally. That’s because less prosperity lessens demand for HIGH priced properties, while simultaneously INCREASING demand for affordable properties (and markets). Just like the 2008 financial crisis created a BOOM for landlords. It was primarily the housing speculators who got crushed. When people lost their jobs and homes, they rented smaller homes and apartments, found new (often lesser paying jobs), and though America become poorer in the aggregate… landlords of the right properties in the right markets became wealthier. So bad times for the masses doesn’t necessarily mean bad times for YOU. The bottom line is we don’t know what the future will bring. Maybe Trump’s policies will make America great again. Maybe they’ll crash the economy. Maybe Peter Schiff is right (he was right about 2008), and no matter what Trump does… or if Hillary overthrows the vote and claims the Presidency… or if Obama declares himself emperor and refuses to leave… the amount of debt, deficits and promises will eventually overwhelm the economy and we’ll get the MOTHER of all crashes. Just remember… real estate has survived depressions, recessions, high interest rates, currency collapses (yes, 1971 was a collapse), stock market crashes; Presidential assassinations, attempted assassinations and impeachments; hanging chads; AIDS, Ebola, Zirka; civil unrest, Reefer Madness and disco. Real estate isn’t going anywhere short of a revocation of private property rights or a life-ending collision with an asteroid. The key is whether YOU and YOUR portfolio will survive. We’d argue the fat spot in the middle is a safer bet… even though many say the middle class is being wiped out. True. But that’s only financially. So instead of owning a big home in the suburbs in a pricey state, the no-longer middle class might need to rent a smaller home in a more affordable market. And if YOU build a great boots-on-the-ground team in those more affordable, low tax, strong infrastructure markets… you’ll be there to meet their needs. Sure, you could make more money faster playing at the margin… IF you get it right. And maybe there’s some high risk room in your portfolio to play there. It’s REALLY exciting when you buy a property for $500,000 and sell it a year later for $650,000. Sure, that’s just a data point on a curve. But it’s a trend worth noting. It says the higher end of the market is slowing down. We got lots of lessons in 2008. Many the hard way. But we got them. Speculators… people buying at a high price in a hot market hoping to sell quickly to the next guy or pull out free equity with cheap financing… got stuck with underwater properties and negative cash flow. So we think it’s really smart right now to be hyper-attentive to YOUR market selection, team, property, financing structure, CASH FLOW… and maintain some liquid reserves both inside and outside the banking system. If times are good, the mega wave of Millennials, lower-middle class folks, immigrants attracted by opportunity (assuming we let them in), will all push up into the middle markets and price points. But… you’ll have to work harder to find good deals. This is where a GREAT local team who LOVES you is awesome. They’ll help you exploit micro-inefficiencies and find great deals at the street level. And if times are bad… even really bad… then all the folks who are riding high on today’s bubbles in the stock market, or have high paying jobs in debt-driven industries, might see the music stop. They’ll move DOWN from the top… into more affordable markets and product types. But good deals will be plentiful during the transition… just like in the wake of 2008. Back then, those who had soundly structured portfolios, even if they were underwater, could hold on through the down trough. And those who were both soundly structured AND liquid could go shopping to ADD to their portfolios at below-replacement cost prices. Ah, the good old days! As investors, we’re thankful the market isn’t level. The schisms are where all the opportunity is. Best of all, it’s guilt free profit. Because the only way you really succeed in income property investing is by collecting a portfolio of properties you’re committed to maintaining, and collecting a portfolio of tenants you’re committed to serving. In other words, you do well by doing good…and we hope you do. We hear about #Millennials in the news all the time. Growing up in a social media world, they have a voice – and they’re not afraid to use it. We felt it was time to talk about millennials on our show … after all, their generation is BIGGER than the Baby Boomer generation. As an investor, it’s important to know about this group, since they will be your tenants, vendors, and even investing partners – if they’re not already! Sure, some millennials are straddled with seemingly endless student debt, living it up in their parents’ basement until their thirties. Others are starting valuable businesses, creating world-changing foundations, and making a difference in their communities. We see an investment in the rising generation to be the best one you can make – for all of our futures. Some folks in business don’t consider Millennials as a viable market. We DO! Millennials, defined by the Pew Research Center in 2015 as those between the ages of 18-34, number at 75.4 million. Their numbers have overtaken the Baby Boomers, meaning you need to pay attention to the purchasing power of this unique group. Every time a huge wave of humanity moves through the cycles of life, they bring their collective consumption habits. Whether you’re a Millennial yourself, the parent of one, or simply an investor looking to grow your business – there’s no getting around the need to interface with this generation. They’ve spent their formative years in their teens and 20’s on social media and accessing information on the Internet. We see them as bright, bold, with real potential to be movers and shakers. Sean Gray is first to say he was “22 without a clue” when he graduated from college a couple years ago. His friends were starting jobs and he was at a standstill, not sure what he wanted in life. Sean sought freedom to go the places he wanted, to spend time doing what he enjoyed. The tricky part was getting started for Sean. After all, how about you start creating the lifestyle you want? He found inspiration in an event with Brian Tracy, where he spent time with other folks his age in a master mind group. They were inquisitive, bright, and had great ideas. A millennial strategist’s biggest piece of advice? The way you think and the way you behave is a product of the people you are spending time with. A lot of times, even those who are closest to you might not understand your vision. That’s OK. Just be conscious about who you let influence you. Entrepreneur Jim Rohn talks about limiting associations with those who don’t help you. So perhaps instead of being around negative Aunt Nancy for days at a time, maybe visit for a couple hours instead. You might have noticed the same last name – yes, Sean is Russ’s son. Russ realized that Sean’s struggles to find what he wanted in life weren’t the sign of laziness or lack of motivation. He was just confused. It can be easy to get discouraged in this economy, and even daunting to start a business yourself. So what did Russ do? He exposed him to a whole network of successful people. The Real Estate Guys™ believe we, as the older generation, need to help those who are coming next. Passing the torch is an act of enlightened self-interest. You can’t help but benefit when you help someone else. What does Sean recommend for his peers who want to create a business that fits their lifestyle? Let go of limiting beliefs and take time to look at the big picture. “Then five or 10 years down the road, you won’t be frustrated you plugged into someone else’s system instead of creating your own,” said Sean. Why do so few make it? It takes real effort. Listen in to our latest show for more insights on millennials in today’s real estate market. Real estate investors and their real estate agents have a symbiotic relationship. They need each other to thrive. Few know this better than Brian Buffini. Today, both investors and their agents face challenges and opportunities created by technology, economic cycles and demographic shifts – just to name a few! In this episode, we look at real estate investing through the eyes of a man who’s trained more real estate agents worldwide than anyone else. Plus, he’s a lifelong investor and a great American success story. So tune in to be enlightened and inspired as Brian Buffini shares lessons from his life as an investor, agent, trainer and entrepreneur. Bob Helms: Good morning, guys! Great to see you both! Robert Helms: Yes indeed! We’re here in beautiful San Diego, California. Always a great place to come and super excited because our guest today hails from this part of the country, and it just so happened that our schedules came together – and we’ll tell you all about him before we introduce him, but – we’re talking today about the role of the real estate agent; we are very pro professional. You hear a lot of folks that say that you can save the commission if you don’t use a real estate agent. Or, here’s the thing – here’s how you negotiate – none of that. We are all about loyalty, getting great agents in the market you’re in, and sticking with them – because a great agent never costs you money; they make you money. Russell Gray: Well I mean if you think about it, if you had a major health issue – brain surgery, heart surgery, cancer – something like that – do you want the cheapest doctor? Do you want the least motivated professional? Or do you want the person who can charge a premium, because they’re great at what they do? I mean, at the end of the day, price doesn’t necessarily mean that you’re getting the best, but most of the time the best don’t work cheap. If you think about the amount of money you’re going to make on a piece of real estate over the lifetime of ownership, one or two percentage points on the front end is inconsequential. And if that’s the difference between success or failure in your deal, you don’t have a deal. Robert Helms: Well, not only that – you want your agent to have the gumption to get up every day and the incentive to work with you. Right, Bob? You sold real estate for 1,000 years – and there’s certain clients that you would be happy to take their call, and there’s other folks that you see their name on your cell phone and you go I think I’m busy right now. Bob Helms: I know I’m busy right now – it’s just a matter of anticipating who you’re going to work with, your reputation precedes you. You only get one. You need to take care of it, and you need to make sure that the people you pay aren’t all about discounting. Discounting is a terrible, terrible burden to pay, because you don’t get what you think you’re getting with people that discount. I want to pay people extra – not short – because I want them to earn it. Robert Helms: Such an interesting mindset, you know. I always tell people that you should ask the agent if they’ll take less, and if they do, then don’t use that agent – because if they’re going to cave in on their commission the minute you meet them, what’s going to happen when they’re negotiating on your behalf? There’s a lot to be said for developing great relationships. And of course, this is a relationship business. If you’ve heard the show a lot, you’ve heard us harp on that – but we’re in the business of relationships, and one of your primary teammates is your agent. Now, if you’re a real estate investor, you may have more than one agent – and that’s because you have more than one product type, or more than one marketplace. If I’m buying property in two states, then even legally I need two different agents. What you don’t want is two or three agents in the same market competing. It sounds like a good idea – I’m going to get three agents working for me, and that’ll really get them motivated to – who can bring me the best deal. That’s the worst way to motivate an agent. In fact, you want to develop a loyalty relationship so that you’re the one – you’re on their short list – they call when they get a great deal. Russell Gray: You know I think it really comes down to understanding what the real estate agent is going to do for you. What you’re really doing is you’re buying into a network. This is somebody who’s taken the time to go out into a community and to get to know that community – to build a brand – to build a reputation – you know, they talk about farming and real estate – the idea that a real estate agent – and anybody listening to this probably has that going on. They’re getting solicitations in their mailbox, and they’re having people knock on their doors and hang fliers and things – there are people who work certain geographies, and they begin to build up their reputation. After a while, people begin to trust them – and so when it comes time to list their property, they’re going to do business with that person. If you want to have the opportunity to find that deal – the guy that controls the inventory – you’ve got to have the guy who has that brand – who has that reputation. Really, that’s what you’re hiring. Your relationship with your agent is so much bigger than that – that’s why I’m really excited to hear from today’s guest – because Brian is just the king of going out and building that brand and building that network and creating those relationships with the community to where you have access. As a real estate investor, I’m looking for the person who’s got control of the inventory, so I can be at the top of the list in terms of when that good deal shows up. Bob Helms: Well, great real estate agents bring a lot more to the table than just experience. Experience is urgent – it’s necessary – but much more important is their attitude. It’s where they come from. They’re looking for referrals; they want to get them and give them. You only get that on one basis – as our guest today will say. You have to earn it. It has to be an important part of who you are, and how you go about that. If I’m interested in maintaining – keeping – a client, I’ve got to take good care of that client. It doesn’t take a lot, but surprisingly a lot of people never bother to do it. Robert Helms: You know, naturally, Bob, I think – looking back at the time we sold real estate together – you just did that. I mean, you weren’t trained to go get referrals; you just had a genuine interest in people, you did a great job for them, and they did what people do when you do a great job for them. They worked with you again, they told their friends, they told their neighbors – and you built a referral based business – without a handbook or a training course. Bob Helms: Well if you look at what happens if you’re not that attentive, and you’re not paying attention – it’s called, you don’t get any referrals. As a matter of fact, you do a transaction as an agent – and you think you did a pretty good job. But the question happens – now what? Did they call you the next time around? Did you continue to touch them? Did you continue to be somebody who was delivering service to them? And many agents are shocked when not only did they not get a referral – they didn’t get the next deal directly from that client, and it’s just a weakness in the system. And it’s so easy to overcome – if you pay attention, you can do all the business you want to do. Robert Helms: It’s amazing – and the worst thing that happens as a real estate agent is when you drive by a house that you sold, and someone else’s sign is in the yard. That tells you you’re not doing the job. So how is it that you as an investor find the right agent? How do you keep the right agent? How do you change agents when you need to? Those are all things we’ll be talking about today. When we come back, you’ll meet our guest. Many years ago, we had a chance to go to a seminar given by this gentleman, and I had been in real estate already many years. We were quite successful; top 1% of our company – but he blew me away with the simple idea of asking for the referral, and building the business. 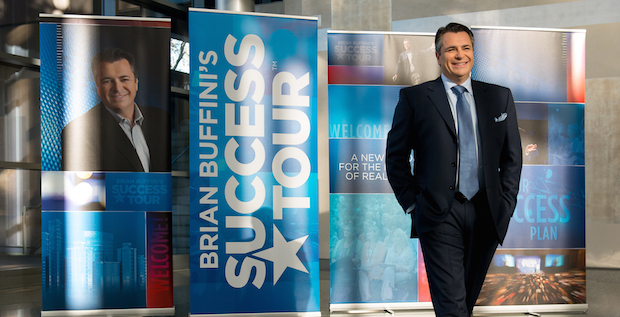 Today, Brian Buffini has trained more than 3 million agents in more than 35 countries, and he’s going to share some wisdom with us. Robert Helms: Please welcome to The Real Estate Guys radio program the amazing Brian Buffini. How are you sir? Brian Buffini: I’m great. Thanks Robert – thanks for having me. Robert Helms: Oh, absolutely. You know, we haven’t seen each other in quite a while. I went to your amazing one day event, and then went to the turning point in Monterey – just the end of our real estate career, if you will, and I have to say you worked me out of a job. Robert Helms: We took what you taught, and really embraced that, and did extremely well – and today, we don’t sell real estate. Happily, we spend our time investing in real estate instead. But what’s amazing – and if you will, because our audience, I’m not sure, is clued into what you do – but your story’s amazing. You didn’t start in San Diego. You started in Ireland. How’d you get here? Brian Buffini: Well I – born and raised in Dublin, Ireland. I came to America in 1986 on a vacation. I had two very specific goals – I wanted to get a suntan, and meet sun tanned girls. Brian Buffini: And so I ended up – I’m still kind of pasty, and I married a black girl, so it didn’t quite pan out the way I was hoping, you know? So I came out here – I was selling t-shirts on the beach – down and off of Pacific Beach, off a cart. I actually was moving $50,000 worth of t-shirts and sweatshirts a month, so it was pretty good. So I always liked to sell, and while I was here, about three weeks before I was going home to Ireland, I got in a motorcycle accident. I got broadsided by a car, and I was in and out of the hospital for the next two years. $252,000 in medical bills and expenses, 19 years old, 7,000 miles away from home, and my family was pretty poor – you know, didn’t have a lot of money. So, I found myself in that spot. And so, when you have no money, when you’re totally broke, you don’t know anybody, and you don’t have any discernible skills, the obvious choice is real estate. Brian Buffini: So that’s what I did. And so I dove right in. And while I got my license, the first home I ever bought – I bought myself. And I had – I had no money, back in the day – this is 1987 – the beginning of ’87. And – one page contract, used three credit cards – which I wouldn’t advise today – but I was a painter’s son, so I knew how to fix and work with properties. And I spent $14,822, and the reason I know that is because I had $15,000 on the credit cards. Brian Buffini: Bought a house for $106,000 – and put 14+ grand into it, sold it for $169,000. And so that was my first transaction. After that, that was kind of the path I was on, where I later developed a methodology, as you know, for developing referrals as a real estate agent, but I also never lost – and have never lost my pension for buying and investing in real estate. In fact, when I leave here today, I’m going to go put a deal together. So, real estate’s been very, very good to me. Within the next three years, I was debt-free, thanks to both owning real estate and selling real estate as an agent. And within the year after that I was the number 5 real estate agent in the state of California – the year after that I was number 5 real estate agent in the country. By 26 years of age, I owned $6 million worth of real estate, and I was selling 100 homes a year. You know, from that point on, that was the foundation from which I eventually built what is now Buffini Company – the largest coaching and training company in the world. And we train not just realtors, but business people all over the world now. But it was from that foundation – and I still love real estate. I still train real estate agents. I still own real estate. I still buy real estate – I’m not a big fan of selling real estate – I’m a big fan of holding onto real estate – that’s my story, and I’m sticking to it. Robert Helms: Awesome. Good stuff. Well, not everyone makes the transition from success in the business to mentoring – and really, the idea of that – what you did was successful, now how can I share that with other people? How did that part of the business come about? Brian Buffini: What happens in real estate, as you know, is that people go to conferences and conventions all the time, because it’s either that or work. So, hey, there’s somebody coming to town with a free seminar – let me do that. So there was a number of conferences and speakers and events around, and I eventually – you know, I was the top salesman for Remax, for example. So they brought me in and they asked me to sit on a panel. And I would share a very simple process of how I developed trust with my customers, how I exceeded their expectations, and how I got them to send me referrals, and why I was selling 100 homes a year. And all of my business was referral; I had 0 advertising budget. I would finish this panel, and there’d be 500 people in the room, and it seemed like 490 of them were standing in line to talk to me and going, how do you do this? How do you this? How do you do – that sounds like me. I want to have – I want to take care of my customers. I want to do a great job for people. And most do. But the industry was teaching cold call, door knocking, you know, the lead trainer at the time had a phrase – “Find ’em, fleece ’em, and forget ’em.” So what I was talking about was somewhat contrary to that. Brian Helms: And so I did a number – for two years, I volunteered at least one day a month that I would speak, whether they were seminar speakers, or real estate conferences that I would get requested – and I would do that. And it was my way of giving back to the industry. But I’m also a businessman – and after two years, and my phone is blowing up, and people are sending me letters and emails, I go, you know, I think I might do this. Brian Buffini: And I wasn’t going to do it on a grand scale – I decided I was going to do it here in San Diego. So on February 14th, 20 years ago, 1996, I held an event that I promoted in three weeks – and I’d just sent out a letter – a fax [laughter] – to all of the people I’d done a transaction with, and I said, hey – a lot of times people have asked me, hey, how do I do what I do? And so on and so forth. I’m going to come and share with you. And I did a free seminar, right here in Mission Valley, San Diego. And 460 people showed up. It was probably to this day – and we’ve done over 2,000 seminars – it’s probably the most meaningful event I ever had, because it was all people who knew me, who I had done business with, and I had established a relationship with. And they were like, I’m here because I watched you, and I’ve watched you do your craft. I’ve watched you – how you’ve treated me. You know, I would send every agent I was ever on a transaction with – I would send that agent a personal note, during the transaction, and after the transaction. I believed in a cooperating spirit. It was never – we could negotiate and be tough in a negotiation, but it was always about working for our clients and being pros. And so that first event – some of the top pros in San Diego said, “man, you’re on to something”. And so I gathered a few guys together and we started, and we said all right, maybe we’ll do a few more of these. Within 12 months, we were seeing 3 to 4,000 people every month. Our events were sold out all over the country. Companies came and sponsored the events. I built a coaching program, and a training program. Then, every time someone had a need – I never said oh I’m going to build this product and sell it to people – every time they said, “Man, I really need help with this – ” and we’d ask them why, and we’d give them ideas, and we’d give them all of our stuff for free, and then we ended up systemizing it. So, today, we have 15,000 members that are in a coaching relationship with us. They sell 1 out of every 8 homes in the United States, and 1 out of every 7 homes in Canada. We have a couple hundred staff up the coast here that are great coaches and mentors and trainers that provide all of the resources these folks need. I think, when you try to provide – when you try to make a buck, and everybody should make a buck – we’re all capitalists here – but I think when you try to make a buck, you’ll end up stuck always trying to make a buck. But if you try to fill a need, you have a chance to build a business. But if you meet the need, and then really are genuinely interested in the person on the other side of the need, now you create advocates. Our company grew, at one stage, no less than 40% a year for 10 consecutive years, as today without a single dollar of advertising. We’re a $50 million a year business today that has no advertising budget. We have a lot of advocates. We have a lot of people who believe in what we do, it’s helped them, and then they tell their friends. I know it’s kind of quaint, but doing the right thing, in the right way for the right motives, produces the right results. You can be a good guy and win. Robert Helms: It’s what Jim Rohn would call enlightened self-interest. So capitalist for sure, but if you’re not providing value – and I love the – I don’t want to miss this nuance – we talked at the start of the show about how important the relationship is between a client – a home buyer/seller/investor, and their agent. But it’s bigger than that, right? We often say that this is not a business of competition. It’s a business of cooperation. Sure, we might go up against each other on a listing every now and then, but more often than not, agents need each other to provide inventory. So this idea of not only is the relationship with the client – but with the other agent – that’s gold right there. Brian Buffini: Well, it gets to probably three different things, right? There’s 1.25 million realtors in the United States. There’s another double that amount for number the people with a license, see. So there’s 2 and a half million real estate licenses running around the United States. So what happens then is, everything’s a panic. Everything’s a freak show. It’s three days before the closing, a storm comes through, you get the call at 8 o’clock at night, the fence fell down – the fence fell down. They’re freaked out, they’re panicked – I told the seller I’d pay half, I told them you’d pay the other half. Those are the kind of calls where I say, “I’m sorry, I have a bad connection” – you know? But a lot of agents are coming from a place of desperation. Last year – and the National Association of Realtors doesn’t want this coming out – but the average sales agent in the United States last year made about $35,000 – gross commissions. Now when you get a NAR number, they include broker revenue in there. So if you get a sales agent who grossed $35,000 and then has to pay their broker split, and whatever else, it says the average agent in the United States last year took home 20 grand. Now here’s the thing – if you’re dealing with someone who’s making 20 grand a year, and there’s a $5- or a $10,000 commission on the table, they’re pretty desperate. And so that’s part of the challenge. And so, you know, God’s created all people equal, but not all realtors are equal. Brian Buffini: What you’re looking for are the pro’s. If you’re a pro, you want to be a pro. And I don’t care – we work with new agents all the time. We have a new agent training program that the average new agent sells 12 homes in their first 16 weeks of real estate. That’s a great start to a career. But their fundamentals – they are professionally sound. They are taught what to do and how to do – how to serve the customer – how to build a database. If you’re looking for an agent and it’s – ok, they’re the cheapest; you guys were talking about this – they’re the most available – they might be the most problematic. And so that’s the agent that’s freaked out during the transaction. You want someone who’s a pro. You want someone who’s a rock. She goes, “You. You come to my house. You come to my house, tonight.” So I go to her house that night. She goes, “Here’s the house I want to buy.” A house I hadn’t seen. She goes, “Do you have an offer?” Now I had you know done two or three deals at this stage. I pulled out the contract. She kind of helps me through writing out the contract. Anna Deleon bought 10 homes – one for each of her grandchildren. And she said, “When you told me that you didn’t know the answer, and then you found out the answer, I trusted you.” That woman taught me the real estate business. She taught me how to be a real estate investor. She made me a fortune. I was actually the executor for her estate years later, and I didn’t know how much real estate she owned, but she owned a lot – a lot of real estate. Buying, holding, built herself a fortune – bought every one of her grandkids a house. She’s walking in open houses, and the realtors wouldn’t give her the time of day, because she was a heavy set Mexican lady with spaghetti sauce on her shirt. Robert Helms: Great, great lesson there. People shouldn’t judge, but they do. And if you will instead treat every client as though they had the potential to be your best client, amazing things will happen for you. Well, Brian, you sit in a really interesting seat, because you have 15,000 agents across the world, plus people that come to trainings – and that’s just the members, right? So you kind of have your pulse on what’s happening on the agent side. And as we’re seeing huge changes in technology, potential changes in the market, conflicting information about where the economy’s going, we’re in an election year – let’s talk about the things you see have changed for the real estate profession. Brian Buffini: Well I’ve done 15 major media interviews in the last 40 days. And so we’ve been on a little bit of a blitz. For a reason. Brian Buffini: And because every one of these – whether it’s CNN Money, or Money Magazine, or whoever else we’ve done this interview with – they all have two questions. Tech, tech, tech – and the Millennials are coming. And the Millennials are coming. It’s like the Russians are coming. The Millennials are coming. A great example is I had this interview with a gal from CNN Money, and she’s just blasting away. She’s like, “the real estate business needs interruption. The real estate business is about to get Uber-ized.” Because this was the theme of her story. So I go, “Where is that to start with?” I go, secondly, “Don’t you want someone to hold your hand and walk you through the minefield of all these things that are going to go wrong?” I go, “Let me just tell you this – there’s a commercial that says there’s an app for this – let me tell you, there’s not an app for when the stuff hits the fan, and you need to walk through the details of a real estate transaction. I said, “They’ve been keeping track of for sale by owner statistics since 1970. We have more technology than ever before. We have more resources than ever before, and last year – 2015 – was the lowest number of for sale by owner since they kept history. Ever. Since they kept a record of it. Robert Helms: Do you remember when the MLS came out, and it was supposed to be public? And agents were freaking out, because we had the book to start with, and then we had the 300 bod dumb terminal, and we had the information – and we thought, the minute we give that to the public – we’re done – this business is over. Realtors are more important than ever before today for the reasons you just said. Robert Helms: Hey, let’s talk about what’s happening on the other side of the business which is that, competition in any business creates a great opportunity for the consumer to have choice, but it also changes the nature of the game. Right? Take your business. When we were heading into the hot real estate market back in ’05/’06, I remember going to one of your big events – things were huge. There were a lot of people in your business. 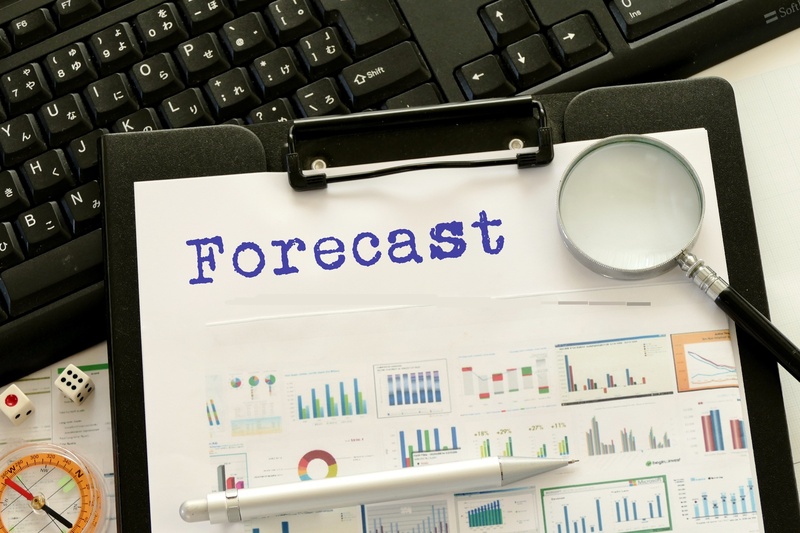 When the downturn came – not so many people in your business. So, today, what are you seeing from that perspective – the competition and what that is doing for the real estate community. Brian Buffini: Well, I believe competition makes everybody better. And efficiency gets driven through the market. The truth is that technology makes things more efficient. Like you were talking about, the MLS books. Well, now it’s on a person’s phone with Zillow. I used to be lost, most of my career, trying to use Thomas’ Brothers map. And now, I’ve got Siri telling me, “turn left Brian – you’re lost”. I mean, I think I would have sold twice as many homes, honest to God, if I’d have had GPS. It makes things fantastic. And there’s a neat thing online if you check it out called “The Evolution of the Desk,” and it shows the desk in 1980, and the desk today. And what the efficiencies that technology brings to the table. So, what are we watching in real estate? What are we watching in the world? I used to go travel all over the world – get out, get a cab. You never knew what you were getting, who you were getting, what language they spoke, or where they were taking you – is it the shortest route? The longest route? And am I going to get mugged at the end of it? Now along comes Uber. Now Uber, they do the technology. It’s on your phone. They show the little car’s coming, and it’s a clean, black car, yada yada. Now, the Uber driver – he has abdicated the lead generation part of his business to Uber. So because of that, he has to pay Uber 25%. You have to count the cost. Uber doesn’t own any cars, they don’t hire any drivers, they don’t pay a lot of expenses; they generate leads. They’ve brought something more to the market. That technology has made it better – it’s better for the consumer. There are technologies and processes in real estate today that are more efficient for both the consumer and for the agent. So, for example – I’ll give you an example with Zillow. Zillow is for realtors – realtors really have some mixed emotions about Zillow. And one of the reasons for it, is that a lot of the information is not that accurate. You know, they’re off by square footage – it’s available, it’s unavailable – so on and so forth. But let me share with you this – consumers love it. Love it. Consumers don’t care if it has hardwood floors or doesn’t have floors or marble – they’re just looking. It gets you. You know, the folks that used to be the nosy neighbors, now you actually get to find out – you know that house you have no business going in, because you don’t qualify to even drive up the driveway? You get to check it all out. Consumers love it. So, the “Zillows” of the world – and there’s many of these now – have created far more interest in real estate. They’ve created far more exposure to real estate. But here’s what we’ve found. 92% of people start their search online – 89% of those who start their search online get an endorsed professional – they get a referral. By the way, with Millennials, it’s higher; people think Millennials are different. Millennials are actually more committed to old school referrals than Baby Boomers. Millennials are the first generation to grow up with the infomercial as part of their DNA. They watched it as children. They’re immune to sales pitches. So the old realtor who goes, “Come into office for 20 minutes – I need to see you.” You’re not getting the Millennial into the office. You’re going to have to meet them at a coffee shop. The dynamic is 1) they are far more educated, 2) they have a great frame of reference, so they know a good deal when they see it, and then 3) they’re looking for someone they can trust when the opportunity arises. Now, I will say this to you; that I believe the future of real estate – and we train 200,000 realtors in the US and Canada alone every year. I’ll say this. What you’re going to see, is an increased pressure on commissions. What I actually believe you’ll see – people have been saying for years that the real estate agent’s going out of business – the real estate agent is going nowhere. The pressure is going to be at the real estate brokerage level. And it’s the real estate brokerage that’s getting squeezed. And that’s where – that model is what’s actually getting interrupted. The old brick and mortar office. 84% of realtors who are affiliated with a brick and mortar office, now consider their primary office their home. Because, we used to have to come into the office – examine the microfiche – ok? Like James Bond. Now I’ve got everything I need on my phone. I interviewed Neil Armstrong, years ago, at one of our events. He said he went to the moon with less technology in the cockpit of Apollo 11 than was on my cell phone. 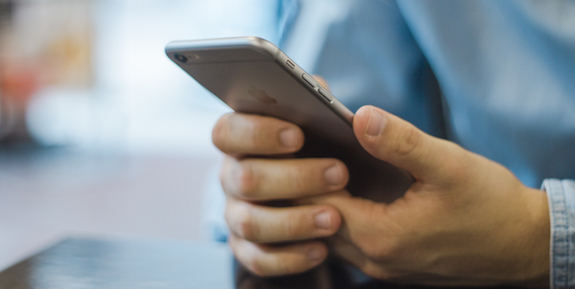 So now, the technology and the speed of the information – the ability to communicate – Docusign – my Gosh, if Docusign had been around in my early days – my wife wouldn’t have known how many properties we would have bought. That’s all I have to say. The fact that I had to have a discussion about every time I wanted to buy an investment property – they eliminated – but Docusign, “honey, you’re on file!”. You know? So, it’s made things more efficient – made things more effective. You guys did a great job of talking about value today – talked about not getting the discounted broker and so on and so forth. But I would say this – I believe commission pressure is a thing of the future. I think realtors need to have a long term perspective. If you have listeners that are buying multiple properties, then a realtor should take a look at it as a business arrangement, and should say, this is a bulk deal arrangement. If you’re Suzy homeowner and you’re not buying another home for 10 years, you’ve got to pay the freight. But if you’re going to buy – do a deal with me every quarter, or whatever else – we’ve got to look at a different arrangement. Now I would also say – and to support what you guys said earlier on – is a lot of times investors – they’re watching the dimes and counting the pennies, and they need to, because you’ve got to be careful to make money on real estate. But, on the way out, you’ve got to realize that the average real estate agent sells a home for 14% higher than someone selling it for themselves. And so, their commission is more than covered – because of their ability to promote and market. They’re going to get multiple offers – multiple people interested – and more people means more interest, more interest means it sells quicker and faster at a higher price. So, I do believe there’s going to be more pressure in the marketplace for realtors. It might not be, “Oh, I’m going to sell it for 3% or 4%.” It might be, “I’m going to give you $1,000 off,” or “I’m going to do this,” or “I’m going to do that,” or “I’ll help with this closing cost,” or whatever. But I think the other side is – you want to make sure you’re working with a real pro, because they’re going to make you more money than they cost you. Robert Helms: You know in any business, as efficiencies come in, and it becomes easier to do the business, then it’s fine that the previous model changes. I don’t think there’s any objection to an agent saying, “Well I’m stuck on a figure,” right? But, if I can do – as an agent – if I can do more business, if I can reach more people, and if I can do it more efficiently, then shouldn’t the cost come down for everybody? So it’s not getting – you’ve got to get your mind around – doing more business and having your bottom line increase is more important than what the gross commission is. They’re not my customer. My target is the 400,000 people who’ve made this their career, who are solid pro’s, who get it done, who make a good living at it, and who might need to improve their skills – get better, have a better quality of life – we can help them with that. Robert Helms: Now Brian, I know we do have listeners who are in the profession, and in case someone’s interested in finding out what you guys do in terms of coaching, and your programs, and your amazing live events – what’s the best way for them to find that out? 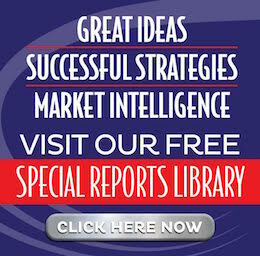 Brian Buffini: Go to Buffinicompany.com – they’ll find everything they need to know, live events. We have teams of people. I think I’ll do 8 live events this year, but the company probably puts on 50. And so, we have a team of coaches, trainers, and everything in between. Our marketing that we provide for agents goes to 1.5 million homes every month. So, we ring the bell for a lot of people. Robert Helms: And it’s amazing stuff – I’ll tell you. We didn’t really get into that part of your business. But if you’re in the business – whether you’re a lender, a real estate agent professional, even an affiliated person – like title company and all those folks – check it out. It really did a ton for our business last year selling retail. So, great, great stuff. Great to have you on the program, finally! Brian Buffini: My pleasure. You guys are doing a fantastic job. Robert Helms: Thank you, sir. That’s Brian Buffini from beautiful San Diego California – amazing to hear from Brian Buffini. Russel: Oh, absolutely. The guy’s an icon in the business. It reminds me of the first time I met Tom Hopkins – and of course, Tom’s a little bit longer in the tooth, but these guys are legends in the business. And even if you’re out there listening and you’ve never heard of either one of them, I think the thing that you need to understand is that they’ve affected you. There are people out there who have conducted transactions on your behalf that have been trained by these guys. What I love in both cases – with Tom and his sales ability – very excited to spend time with Tom on the Investors Summit at Sea coming up, but with Brian, and just his whole concept of building your network, working through referrals, and taking care of the customer first. All of those things that he was talking about, is so powerful – because it translates not just into real estate – right? I came out of the mortgage business. 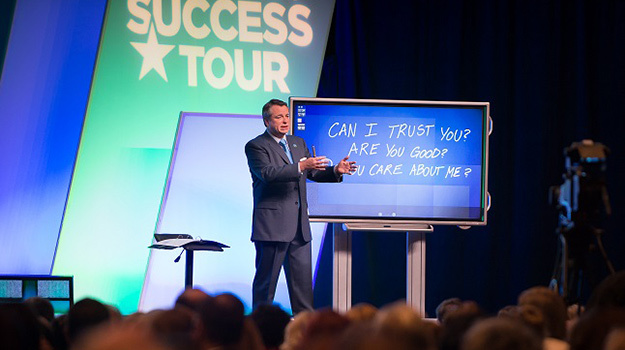 Many of my mortgage reps were using Brian Buffini’s training. They made me a lot of money. Brian Buffini made me a lot of money; and that’s awesome. But you know, we teach syndicators. 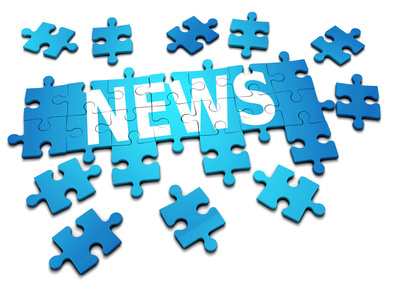 You just got done talking about The Secrets of Successful Syndication. At that seminar, one of the major things that people learn how to do in the syndication business – because even though the new laws have been passed – and it’s possible to advertise – syndication – raising private money – is very much a business about networking. And if you don’t know how to network – and it’s a skill – if you don’t know how to network, some people are gifted in naturally, like Bob here – right? But if you think that it’s something that people are just born into – it’s not that way. It is a skill – it’s a learnable skill – and there’s nobody – and there’s nobody better at teaching it than Brian Buffini. Robert Helms: This is what’s great – when you talk about advertising for syndication – yeah, we had shows on that – that’s wonderful. Real estate agents have been able to advertise for a long time. And they have. And who gets the business? Do you pick a realtor by their ad? Or by a relationship? The great agents who service their clients well – it’s not that they’re trying to figure out how to get a referral – it occurs naturally. What Brian does is he helps people in that process. You may have a great heart to help people, and you may do great business as a real estate agent, and those of us that have investment property – we want a great agent like that. That doesn’t necessarily mean they have the skills or the tools to get the word out. It’s going to happen – but it can happen much better if you have a program, and a system. Of course, just the fact that we have so much in common – I was sitting here just thinking man, we have so much in common with this guy, at so many levels. And just a really great opportunity to hear about his takes on the business, because he does have this perspective of training a couple hundred thousand agents a year, and coaching 15,000 agents – that’s a lot of agents! Bob Helms: There’s not a lot of people I know who are better connected to the real estate space – and he’s been doing it for years. The thing about him is that he’s so consistent. He has the skills and the tools, and he’s compassionate. But, he understands what makes it work is to deliver. You have to deliver what your client needs. If you do that consistently, you won’t have any shortage of business; you’ll have all the business you can handle. Robert Helms: So as an investor, as we kind of wrap up, I think there are some things to take away from this show that are critical. One is that your relationship with your professionals is critical. You’re the executive producer; you’re the quarterback of your implementation team on real estate investing. You’ve got to find sharp folks. You’ve got to find the types of agents that will get up early, stay late, sniff out deals, and bring them to you. But it’s a two way street. Russell Gray: Well, yeah. Certainly it is. We talk all the time about how one of the great ways you can tip somebody in your vendor circle – the people who are providing you services – is to give them a referral. It doesn’t cost you anything except the risk that you take that they don’t do a great job. But if you believe in them, and they’ve done a good job, and you want to say thank you, you don’t always have to write a bigger check – right? Sometimes it’s just giving them the referral – giving them your influence – and that’s really the point, right? He talks about teaching real estate agents how to – and business professionals in general – how to build their brand – how to build their worth – their value – by growing their network; the number of people that know them, like them, trust them, and know that they’re in the business – right? Well, you can do the same thing as a real estate investor – and you should, because every single service provider that you work with is plugged into a whole network of people that you don’t know – and that’s all part of the deal flow. That’s all part of access to intellectual capital – people who know how to get things done – and it’s all part of your growing your network, because of the 6th degrees of separation concept; the idea that somebody knows somebody who knows somebody who knows that person that has exactly got the right answer or the right resource that you need to solve your problem or advance your agenda. 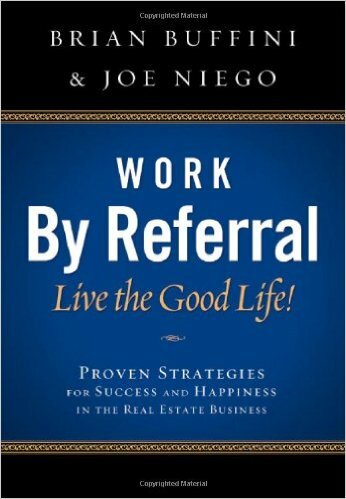 So, learning how to master the art of networking and building your business through referral is something that applies to everybody listening to the show, no matter what you do for a living – investor, real estate professional – business of any kind. Bob Helms: Somebody who is really good at referrals does a lot more than simply give you the name of an agent somewhere. I could pick maybe 6 agents that I could send you to. What I want is for you to have the outcome you want. So I can’t just give you a name; I’ve got to do enough work to make sure that they have the tools, the skills, and are a good match for you, or else there’s no reason to make that referral. Robert Helms: Yeah, so just make sure as you’re out there, and you’re looking for ages and marketplaces, that the best place to go is for a referral. You’re going to search out a great agent or a marketplace, and then the other side of it – be that referring person, as well. Oh by the way – Brian’s a great guy, as well. If you haven’t yet done so, there’s plenty of time for you to register for the 14th annual Investor Summit at Sea 2016. Excited about this. It’s just right around the corner. But you do have to move – there’s time, but there’s just not a lot of time because we’re down to a few cabins. It’s going to be absolutely extraordinary. We’ve G. Edward Griffin – the author of The Creature from Jekyll Island coming; Tom Hopkins coming back with us for his third year; and also, joining us for his third year, the amazing Robert Kiyosaki. You can get all the details on our website https://realestateguysradio.com/ and click on events. Big thanks to Brian Buffini for sharing his wisdom. Until next week, go out and make some equity happen.